The Triangle Expressway remains one of North Carolina’s largest single transportation infrastructure projects and the state’s first toll road. NV5 played an integral part in the completion of this 19-mile, $1 billion project. Specifically, we prepared the environmental documents for this project in just 18 months — a process that typically requires seven years to complete. We also prepared roadway designs for the 3.4-mile Triangle Parkway portion and provided survey services and construction engineering inspection quality assurance for the entire expressway. NV5 also led the public involvement effort of more than 30 meetings with stakeholders and community groups. 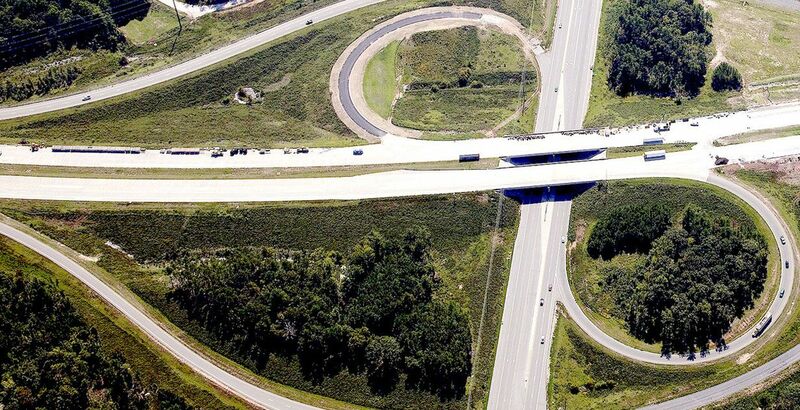 This project showcases our multidisciplinary capabilities to efficiently take a project from the planning stage through construction, with a very aggressive schedule using our planners, biologists, roadway engineers, structure engineers, and hydraulic engineers.